It’s always a struggle to get my daughter to eat enough greens. 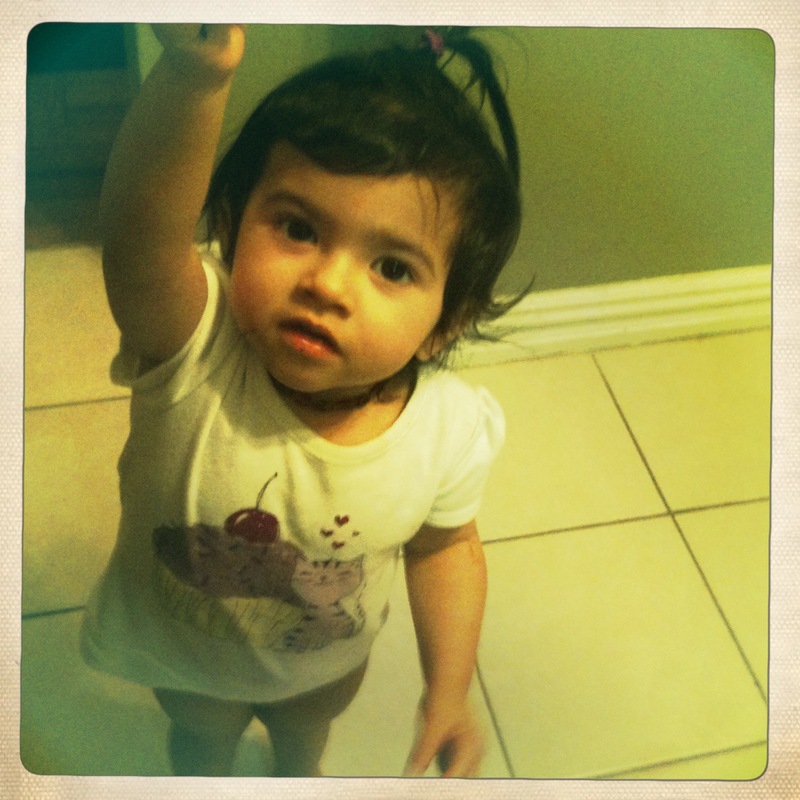 She’s only 2 with one set of molars. That’s not enough to break down any kind of leafy green, cooked or raw. Whenever I eat a salad, she’ll poke her head in the bowl and look at me with those big doe eyes and say “for Zoe,” pointing to herself. I oblige, handing her a small dressed leaf. She pops it in her mouth and I see movement, a positive sign. Just when I think she’s actually eating it, out pops the leaf perfectly in tact, licked clean of all the anchovy dressing. She hands it to me. “More,” she’ll ask. And this is how it goes until a greater portion of my salad is shiny and naked. Boooooo. Cooked greens are a hard sell too unless they are chopped super fine and drowned in tomato sauce. 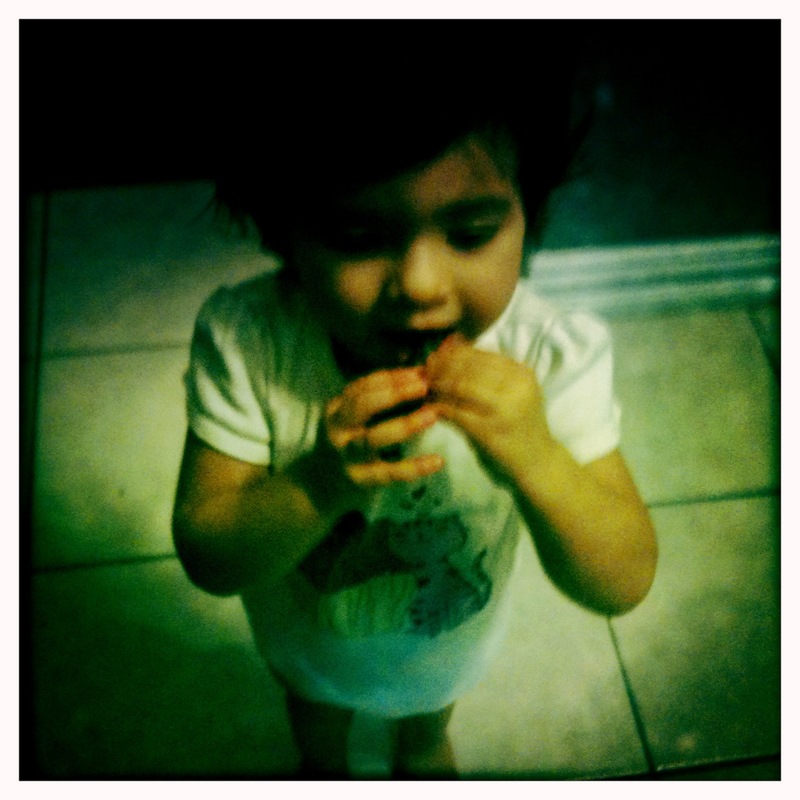 Toddlers will eat anything drowned in tomato sauce. That is also the subject of a future post. 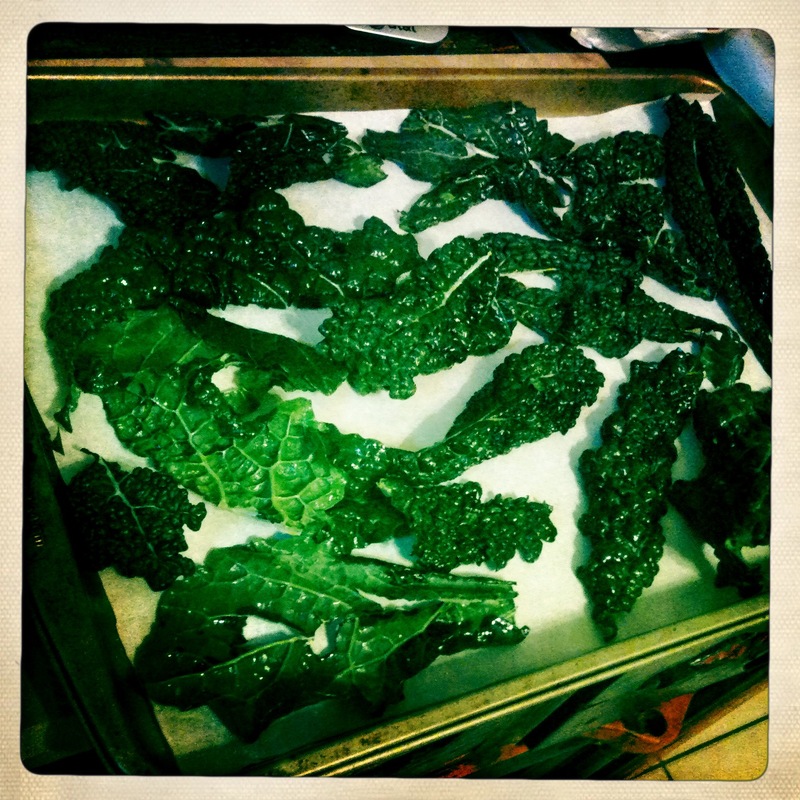 Kale Chips are great because they are crunchy, savory and super light. They practically disintegrate on your tongue. The downside is that this crunchy lightness can also leave a trail throughout your house when held by a wiggly energetic toddler. 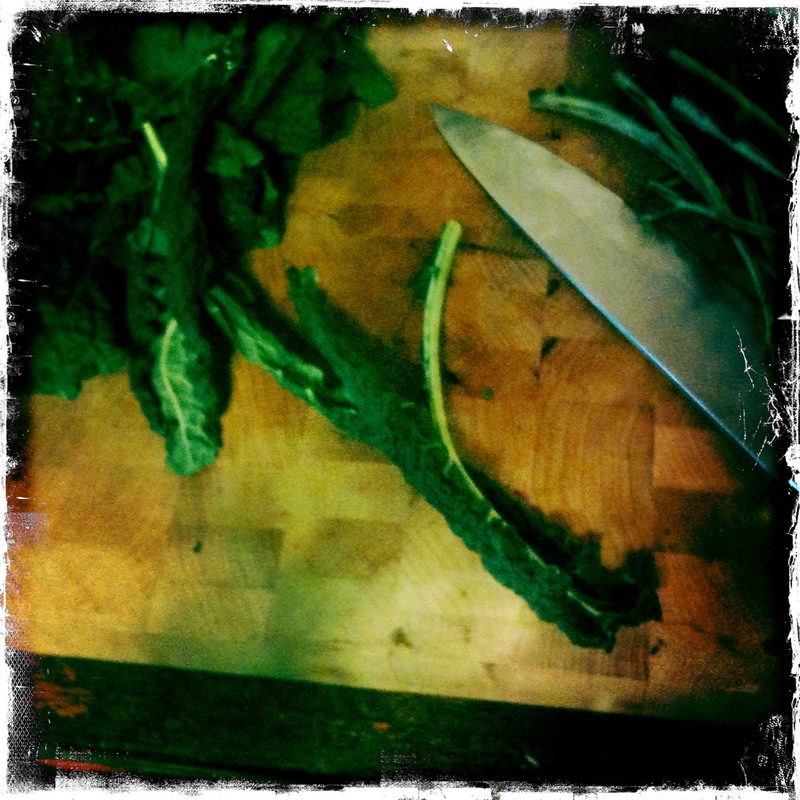 The kind of kale that I use is Tuscan Black Kale (Cavolo Nero), or Lacinata, two very similar strains. You can find it in the more specialized supermarkets like Whole Foods or Fairway, and many local greenmarkets have it as well. It’s one of my favorite greens because it is delicious, super good for you and extremely versatile. You can do things like eat it raw in a salad with some kind of hearty dressing, or cook it by braising it in tomato sauce. When you buy kale and store it in your refrigerator be sure to put it in either a container with a lid or a ziploc bag with air and a damp paper towel inside. The idea is to keep some of that moisture in. If you just put the bunch of greens in the crisper bin after a few days they will wilt and it’s very difficult if not impossible to bring them back. If you store kale properly it can last a week in your fridge. 2. Stem the kale. Most of the time the stem is pretty thick, woody and not very to pleasant to eat at the bottom. As it progresses to the top it becomes a thin vein which is not necessary to remove. Take out the thick part only: with the thickest part of the stem pointing up, fold the leaf in half along the stem and slide your hand down the stem removing the leaf. You can also cut along either side with a knife. 2. Place in bowl larger than the amount of kale you have. Lightly sprinkle with salt, pepper if desired, and a drizzle of olive oil. Use your hands to toss and be sure you have coated every leaf but not drowned them. Go easy on the salt. If you taste it and it tastes underseasoned that’s ok. You are going to in essence dehydrate the kale, so the flavor will only concentrate as the water is evaporated out of the leaf. 3. Lay out in a single layer on a cookie sheet. 4. Bake for about 15 minutes. Start checking it at 10, because every oven runs different, and you want to catch them right at the point where they are crispy but not brown. If they get brown they taste burnt, even if they aren’t. They’ll stay good for a couple of days, but I guarantee they won’t last as long. I always do a head at a time because the heads are really small in the supermarket and I eat them unabashedly like cookie monster shoving cookies down his throat, crumbs flying all over the layout. I think actually, I’m equally as bad as Zoe when it comes to leaving a trail around the house. Aside from munching you can use them as a garnish for other dishes, like minestrone soup, where they will start out crunchy and then collapse into softness when introduced to the liquid. Instead of frizzled shallots or onion rings garnishing a steak just cut the kale into strips before you cook it and use that instead. 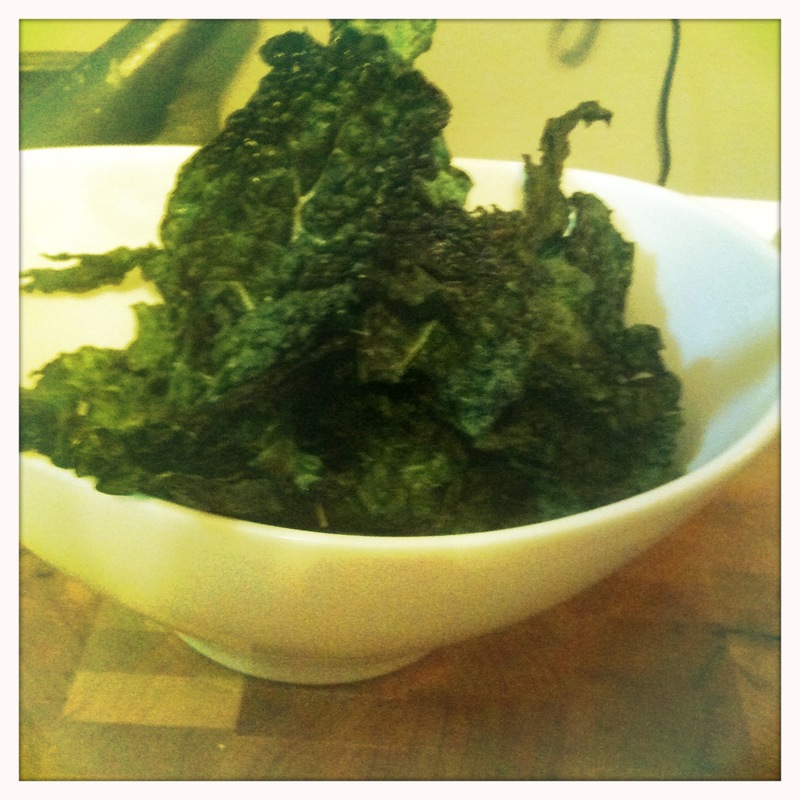 Just finished my second recreation of these and I have to admit that I basically ate an entire bunch of kale (in chip form) all by myself!